On Wednesday, September 27, the Kremlin-controlled Simferopol district court passed a verdict in the case of one of the leaders of the Crimean Tatar national movement, Deputy Chair of the Mejlis of the Crimean Tatar people Ilmi Umerov and sentenced him to two years in an open prison, the lawyer Edem Sememlyaev reported on Facebook. The verdict was announced earlier in court, without the presence of Ilmi Umerov’s lawyer Mark Feigin and defender Aleksandr Podrabinek. 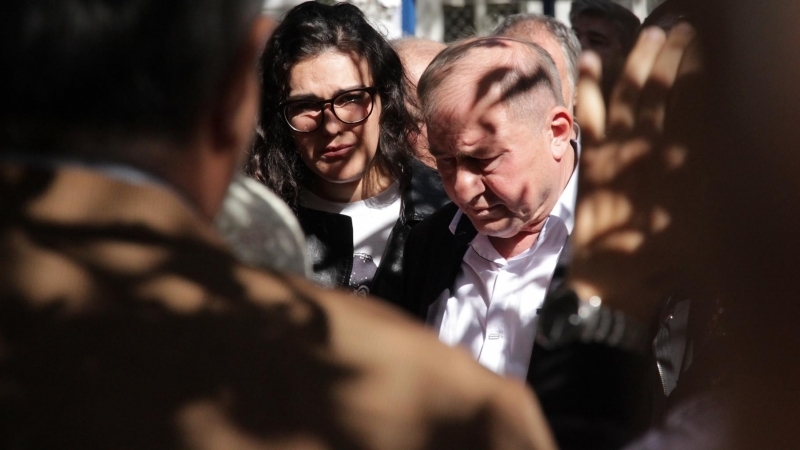 Before the trial, lawyer of Ilmi Umerov expressed the hope that the report of the United Nations High Commissioner for Human Rights on the situation in the annexed Crimea, published on September 25, could affect the mitigation of the verdict on his client. The open prison is a kind of penitentiary institutions in Russia, in which the convicted persons are sentenced to imprisonment for crimes committed by negligence, as well as persons who first committed crimes of small or medium gravity. Such institutions are mainly located in the northern and eastern regions of Russia. Previously, Mark Feigin, the lawyer of the Deputy Chairman of the Mejlis of the Crimean Tatar people Ilmi Umerov, said that international publicity will affect the outcome of the verdict as a whole. The defense intends to turn to the European Court of Human Rights after the appeal. In parallel, the lawyer has considerations regarding the International Court of Justice of the United Nations in the Hague, where the Ukrainian lawsuit against the Russian Federation is being considered. The Russian prosecutor requested a punishment for Ilmi Umerov in the form of 3 years and 6 months of suspended sentence, probation for 3 years and a ban for three years to engage in public and teaching activities.